Rafael Viñoly’s design for the exhibit booths centers on a hexagonal planning module that can be variably combined to encourage and accommodate an array of presentation strategies by the exhibitors. 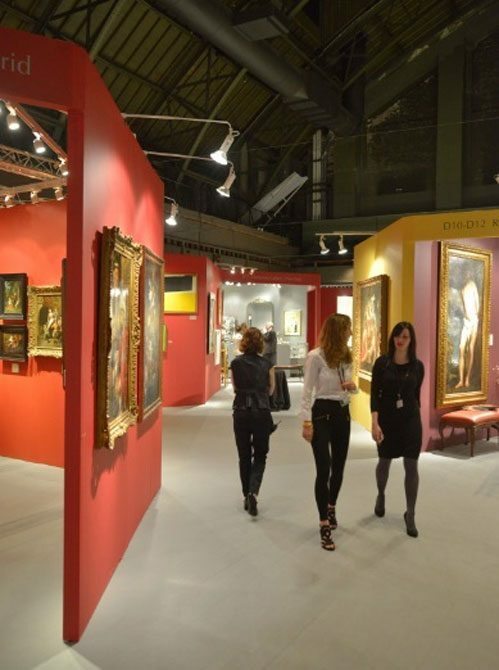 The booths are clustered in irregularly-shaped groups, yielding diagonal passages through the hall that are more varied and dynamic and ultimately more stimulating for the fair’s visitors. Interior Designer Diana Viñoly uses a rich palette of deep, earth hues to create visual continuity throughout the exhibition. Tulip arrangements spread throughout the hall help link the fair to its seasonal and physical context and to the Park Avenue Tulip Festival, which runs concurrently next door to the Armory. 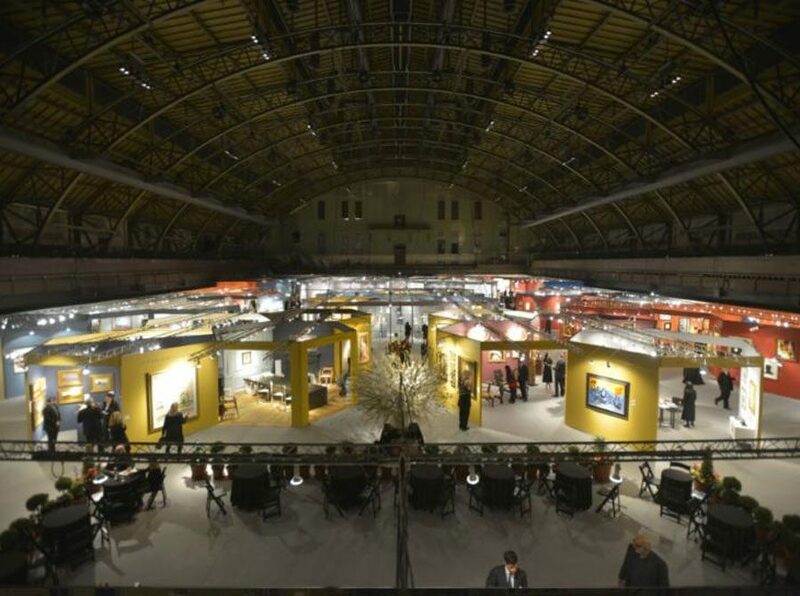 The redesign represents the most significant change in the Armory fair format in three decades, and takes advantage of the dramatic setting and sweep of the Drill Hall to create a range of display options that respond to the diverse needs of the participating dealers.